ONE Championship has undergone a slight tweaking to its name, but the promotion formerly known as ONE FC continues to assert its dominance over the Asian MMA market. It might not yet — or ever — eclipse the venerable Pride organization in terms of status or popularity, but the promotion is doing its best to fill the void left by the former juggernaut. The promotion’s 27th offering, dubbed Warrior’s Quest even features one former Pride fighter, Shinya Aoki. Aoki reigns as the promotion’s lightweight champion, and he returns on May 22 to defend his strap against Koji Ando. Aoki is far from a new name to most MMA fans. “Tobikan Judan” has fought under the banners of a wide array of Japanese and Asian promotions, including Deep, Shooto, Dream, K-1 and IGF in addition to the aforementioned Pride and ONE FC. He’s also made stops in the United States to fight for Strikeforce and Bellator, picking up just one win and suffering two losses over the course of three trips across the Pacific Ocean. The Brazilian Jiu-Jitsu and judo black belt has tallied a staggering 25 submission victories in his 11-plus years as a pro. His list of victims includes some of the best in the sport, such as Eddie Alvarez and Tatsuya Kawajiri. The 32-year-old has gone 14-1 over his last 15 outings, with his lone defeat coming in a rematch with the aforementioned Alvarez. Ando’s experience at the sport’s highest levels is limited by comparison. After starting his career under the GCM banner in 2008, Ando stepped up to fight in the Sengoku promotion against Kohei Maruyama and Ikuo Usuda, defeating the former and losing to the latter. 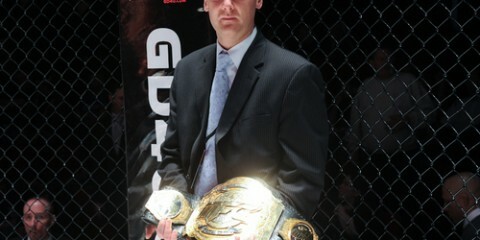 Then, he returned to GCM for a few fights and made a stop with Road FC before joining Legend FC. The move to Legend FC eventually led Ando to ONE FC, where he has stopped two opponents. The Wajutsu Keishukai product had conquered the Legend FC lightweight division with an injury-related TKO victory over Jadamba Narantungalag, and his gauntlet in ONE Championship has included a submission finish of Rafael Nunes and a TKO destruction of Zorobabel Moreira. The 30-year-old is a well-rounded fighter who has stopped four opponents via strikes and four by way of submission. He’s not an easy out either — all of his losses have come by way of decision. He is 8-1 over his last nine fights. Both fighters are riding huge waves of momentum, but Aoki is a true member of the elite class. The champ has finished his last three foes within the first round, and he has more than 20 first-round victories over the course of his career. If he ties up Ando early, this fight will end in a flash. However, Ando hasn’t had a habit of letting his opponents threaten him. Furthermore, Ando should hold the edge if he can keep the fight on the feet and prevent Aoki from dragging him to the mat. Aoki has flashed better striking in recent outings, but he’s not a fighter who should opt to go toe-to-toe with anybody. Ando is certainly a fighter who could give Aoki plenty of headaches and push the champion into deep waters. However, Aoki has become a near-sure bet in the last half decade. He could hand Ando the first stoppage loss of the judoka’s career, but he might just have to settle for the decision nod. This week, the only featured bout that doesn’t revolve around a title takes place in Canada. Hard Knocks Fighting Championship returns with its 43rd effort, which showcases a battle between UFC veteran Nick Ring and fellow middleweight Jason Zentgraf, who is probably best known for a three-fight stint with the Canadian-based Maximum Fighting Championship organization. Zentgraf’s stay with the MFC included submission wins over Cody Krahn and Clay Davidson. The wins led Zentgraf to a showdown with Luke Harris, a highly successful middleweight who was emerging as one of the company’s stars. Harris finished Zentgraf in the first round, thereby handing “The Savage” his second career loss. Zentgraf’s first defeat came nearly two years earlier — and just one year into his pro career — when he dropped a decision to UFC castoff Mario Miranda. Ring came up through the Canadian regional scene, but he never made a stop in the MFC. Instead, he popped up on one Bellator show, where he defeated Isidro Gonzalez, and competed on The Ultimate Fighter 11, where he topped Woody Wetherby and eked out a decision over Court McGee before exiting the tournament with an injury. The Brazilian Jiu-Jitsu and Muay Thai black belt eventually entered the Octagon as a 10-0 prospect and made his official UFC debut. He won his first two fights with the promotion, but he fell on hard times and lost three of his next four. His only win in this span came against the aforementioned McGee in their long-awaited rematch. Despite a kickboxing background, Ring is most effective on the canvas, where he has stopped six opponents by way of submission. He also has a habit to keep fights close, as illustrated by his five decision wins and three decision losses. Ring has a grinding style, whereas Zentgraf tends to be aggressive in hunting for the finish. The separating factor comes in the level of competition these men have faced. Ring’s losses came against Tim Boetsch, Chris Camozzi and Caio Magalhaes. Zentgraf has come up short against Miranda, who went 1-3 in the UFC, and Harris, who has dropped his lone World Series of Fighting bout. Ring isn’t an easy out, which already makes this into an uphill battle for a grappler like Zentgraf. Ring has the more substantial experience, and he’s not going to give Zentgraf many openings on the ground. Instead, Ring will seek to keep the fight standing and chip away at his opponent, who has only seen the second and third rounds a handful of times. Zentgraf may have a strong first round, but he’ll fade as the fight wears on. Ring won’t run away with the win, but he will edge Zentgraf on the scorecards. Poland’s top promotion, KSW, is back with its 31st event, which continues the company’s trend of stacked cards. Heavyweights Mariusz Pudzianowski and Rolles Gracie will steal away some of the spotlight from the night’s headliner. The card even includes an intriguing light heavyweight title tilt between Goran Reljic and Attila Vegh buried midway down the lineup. However, the middleweight title showdown atop the card is certainly the centerpiece of the show. Champion Michał Materla will defend his 185-pound strap against the challenge of veteran fighter Tomasz Drwal. Materla is a longtime mainstay in KSW. The 31-year-old, who made his pro debut in 2003, has gone 13-2 with the promotion. His only losses came in a middleweight tournament semifinal bout against Antonio Mendes and a non-title fight against rival Jay Silva. Materla first fought Silva for the vacant middleweight strap in a 2012 bout where he edged the UFC vet by way of a majority decision. The two rematched and Silva scored a knockout. They completed the trilogy in a title fight where Materla again earned the judges’ nod. The Berserkers Team product is a decorated grappler who has translated his success into 12 submission finishes over the course of his MMA career. He has added three victories by way of strikes, but he has also suffered two knockout losses. Drwal is the latest UFC veteran to cross paths with Materla. After a 14-1-1 start to his pro career, Drwal signed with the UFC and made his Octagon debut in 2007. 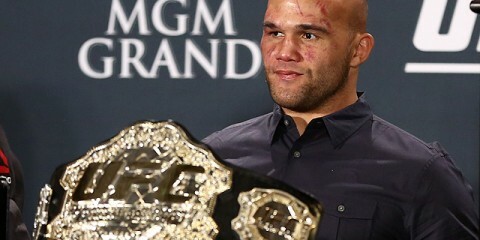 His UFC tenure lasted three years and netted him three wins and three losses. He suffered losses to Thiago Silva, Rousimar Palhares and David Branch while competing in the eight-sided cage, but he also notched wins over Ivan Serati, Mike Ciesnolevicz and Drew McFedries. Since parting ways with the UFC in late 2010, Drwal has returned to Poland and compiled a four-fight winning streak that includes victories over Wes Swofford and Delson Heleno. 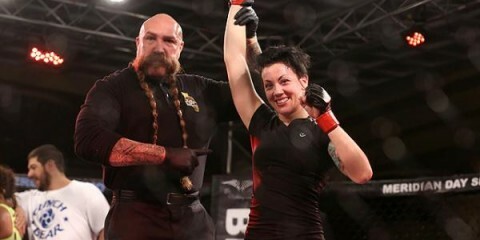 The 33-year-old Alliance MMA fighter has 12 victories via strikes and six by way of submission. His only loss outside of the UFC came in his third pro fight. Drwal is a scrappy veteran, and he’s also a fighter who could be very dangerous for Materla. The champ has been prone to losses against strikers — even the aforementioned Silva, whose record sits at .500, was able to stop Materla once — and Drwal is a tough brawler. Drwal isn’t a world beater, but he was able to conquer the lower levels of the UFC roster at light heavyweight and middleweight. Materla, through more than 10 years as a pro, has established that he’s not a sure thing against even the UFC’s past castoffs. Drwal’s fists will be the difference in this contest, leading the veteran to a TKO victory and a reign as the KSW middleweight champion.